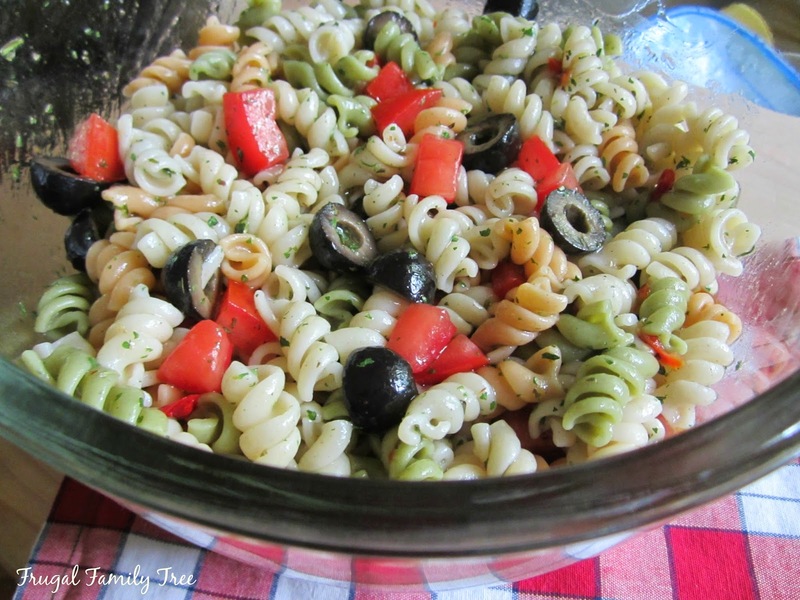 Soon it will be officially summer, and it's time for all those delicious summer side dishes. Pasta salads, roasted corn, and macaroni and cheese are just some of my favorite foods to pair with grilled meat. 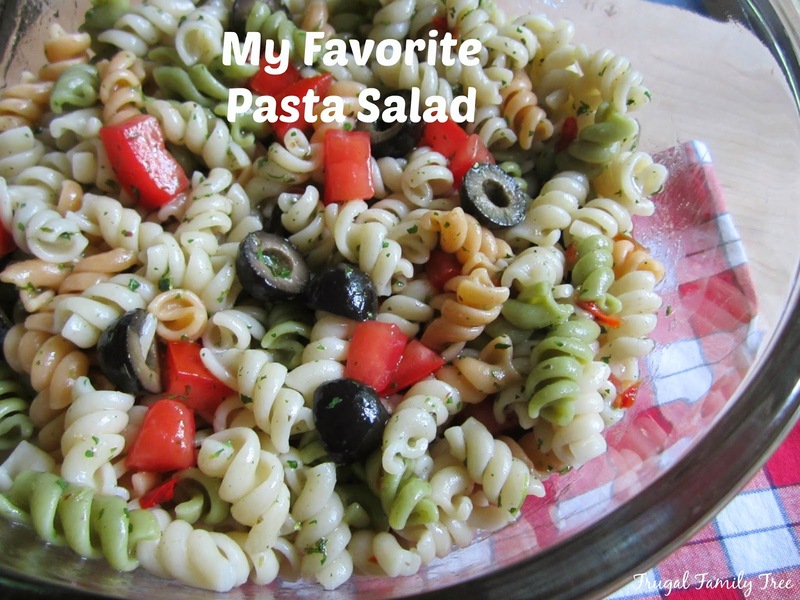 I like making a double batch of this delicious, and simple pasta salad. I can eat it for lunch, or serve it with dinner during the week. Either way, I hope it's as big a hit with your family as it is mine! Place all ingredients in a large bowl, toss well to combine. Refrigerate 4 hours or overnight to bring out flavors.